If you have played Blade and Soul, you should know that all classes in Blade & Soul, each of which has its own style and attribute. There are so many ways to build up your class. This article will tell you how to build up your class and weapon to level up fast. When you join this game, the first thing you need to consider is to choose a class for yourself. In my opinion, you should consider two important factors: how much AoE damage of a class has and defensive strength of a class has. A best build should be a compromise between staying healthy and dishing out damage. You can choose the classes with more HP or defense than others. The speed of leveling up is based on your class. Some strong AoE classes can get full levels in a day, while the classes which lack of AoE may take longer time to finish that as they have to kill more mobs at a time. In fact, there is no best build for each class, however, you can try to build up your class which can be good at balancing defensive skill and offensive power so that you can get the strength to upgrade quickly but also lean what skills and forms to pursue. You should pay emphasis on AoE, defense, healing and escape. Besides, you may be required to have different skills for grouping combat, but you can pass through tough areas and level up fast with the help of high level characters. Moreover, you need to join a group to get access to dungeons. Different from other mmos, you need to upgrade your weapons, accessories, soul shields and you will the main story weapon and try to max it out. What you need to do is to build them up enough to keep pace with the dungeons. It is easy to strengthen the weapon in early game, but it becomes more and more tough and costly in the later game. Since the strong weapon starts to become available from level 45, it is not necessary to strengthen weapon to the greatest extent. You should speed up the level when your attack damage has fallen behind. There are specific stages to the evolution process. At one point, your weapon gains more critical chance, and then it switches to critical damage. As for soul shields and accessories, you can level up them as well, which is not necessary, because you can find new and better ones frequently. If you want to level up, you need to complete a series of quests and grind monsters. The more quests you take, the more bosses you need to fight, which have implication for your build more single-target damage and crowd control. There are two main kinds of quests: yellow quests which are main story quests and blue quests that are optional, both of which can provide decent amount of exp. Your build should cover these two kinds of quests. Sometimes, the blue quests can strengthen your weapon though you don’t need the exp. Leveling up is not just for playing this game, but also it is a good way to learn your class, weapon and make more BNS gold, though it takes your time and energy. 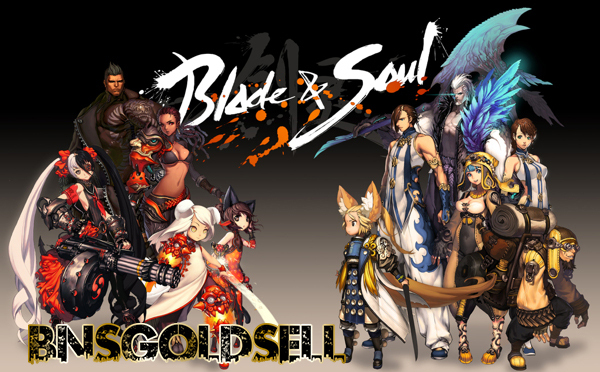 If you don’t have some much time and energy to make BNS gold, you can go to BNSGoldSell.com to buy Blade and Soul gold for speeding up your level and upgrading your weapons.